The Federal Ministry of the Interior, Building and Community decided with the directive from July 6, 2018 to admit up to 300 persons in the context of resettlement (according to § 23 Abs. 4 AufenthaltG). This is possible for persons with Syrian, Iraqi, Eritrean or Somalian citizenship and Palestinians who were evacuated from Libya to Niger. The order was coordinated with the state authorities. This decision is a reaction to the call made by UNHCR, to provide humanitarian admission places for vulnerable refugees. 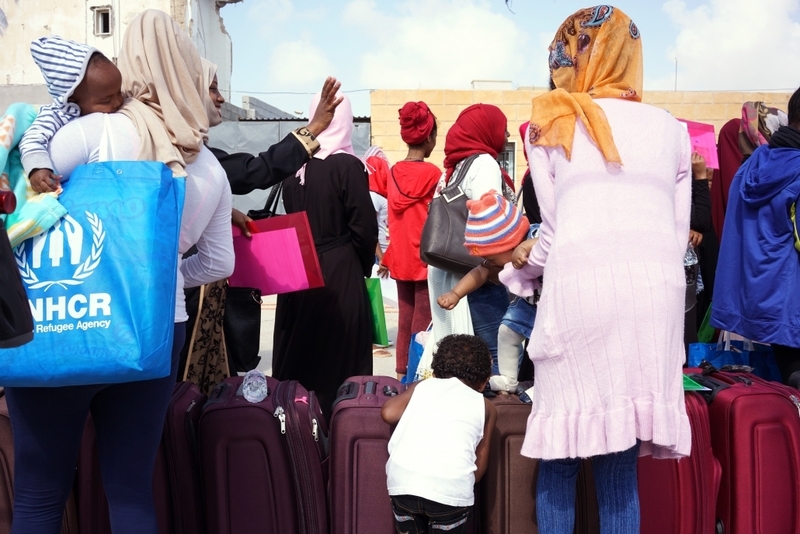 Regarding the current security situation in Libya, the UNHCR designed an evacuation mechanism in Niger in order to first fly out vulnerable persons from Libya to Niger and to then carry out the resettlement procedure in safety. Due to their difficult flight experience there will be many severely traumatized and seriously ill persons among the admitted refugees. Within the quota of up to 300 persons, there will be 50 places for unaccompanied minors (see accompanying regulations, in German). In the selection process, different criteria will be considered such as: keeping the family united; family or other links to Germany that can help the integration process; integration capabilities like educational qualifications, language skills, age and the vulnerability-level. As part of the admission process, a security-audit takes place. With the exception of the unaccompanied minors, the selected persons are expected to enter Germany in groups and will be hosted by the admission authority Niedersachsen in the initial reception centre of Friedland for two weeks. The unaccompanied minors will be received by authorities of the federal states directly after their arrival at the airport and transferred to youth service institutions. After the allocation to the federal states the newly arrived refugees apply for a permit according to § 23 Abs. 4 AufenthG (which is the resettlement status). According to the order of admission by the Interior Ministry, this permit is limited to three years. The refugees get a work permit right away, they can also apply for social servcies according to SGB II or SGB XII and have the right to take part in an integration course. However, they have a residence requirement.